^ Howard 1991, p. 45. ^ von Bismarck 1898, p. 58. ^ a b Britannica: Franco-German War. ^ Howard, 1991 & 41. ^ Wawro 2003, pp. 28–30. ^ Howard 1991, p. 78. ^ Wawro 2003, pp. 66–67. ^ Howard 1991, pp. 47, 48, 60. ^ Wawro 2003, pp. 85, 86, 90. ^ Wawro 2003, pp. 87, 90. ^ Wawro 2003, p. 94. ^ Howard 1991, p. 82. ^ Wawro 2003, p. 95. ^ Howard 1991, pp. 100–101. ^ Howard 1991, p. 101. ^ Wawro 2003, pp. 97, 98, 101. ^ Wawro 2003, pp. 101-103. ^ Howard 1961, pp. 101-103. ^ Howard 1991, pp. 87–88. ^ Howard 1991, pp. 89–90. ^ Howard 1991, pp. 92–93. ^ Howard 1991, pp. 98–99. ^ Howard 1991, p. 116. ^ Craig 1980, p. 31. ^ Ridley 1976, p. 602. ^ Rustow & Needham 1872, p. 229–235. ^ Wawro 2003, pp. 190–192. ^ a b Wawro 2003, p. 192. ^ Maurice & Long 1900, pp. 587–588. ^ Rustow & Needham 1872, p. 243. ^ van Creveld 1977, p. 96. ^ Howard 1991, p. 23. ^ a b Irvine 1938, p. 192. ^ Howard 1991, pp. 23–24. ^ Holborn 1942, p. 159. ^ Howard 1991, pp. 19–20. ^ Howard, 1991 & 21. ^ McElwee 1974, p. 46. ^ Howard 1991, p. 68. ^ Howard 1991, pp. 70–71. ^ Howard 1991, pp. 35–36. ^ Taylor 1988, p. 133. ^ Varley 2008, pp. 152?202. ^ Bailey 2004, pp. 218–219. ^ a b Howard 1961, pp. 156–157. ^ Bailey 2004, p. 218. Azurmendi, Joxe (2014). Historia, arraza, nazioa. Elkar. ISBN 978-84-9027-297-8. Bailey, J. B. A. (2004). 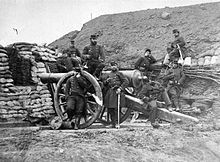 Field Artillery and Firepower. Annapolis: Naval Institute Press. ISBN 1591140293. Clark, Christopher (2006). Iron Kingdom: The Rise And Downfall of Prussia, 1600–1947. Harvard University Press. Craig, Gordon A. (1980). Germany: 1866–1945. Oxford: Oxford University Press. Holborn, Hajo (1942). “Moltke's Strategical Concepts”. Military Affairs 6 (3): 153–168. http://www.jstor.org/stable/1982846. Howard, M. (1961). The Franco?Prussian War: The German Invasion of France 1870?1871. London: Rupert Hart-Davis. ISBN 0-24663-587-8. Howard, Michael (1991). The Franco–Prussian War: The German Invasion of France 1870–1871. New York: Routledge. ISBN 0-415-26671-8. Irvine, Dallas D. (1938). “The French and Prussian Staff Systems Before 1870”. The Journal of the American Military History Foundation 2 (4): 192–203. http://www.jstor.org/stable/3038792. Maurice, John Frederick; Long, Wilfred James (1900). 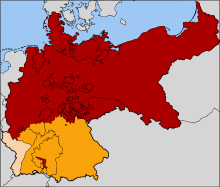 The Franco–German War, 1870–71. S. Sonnenschein and Co..
McElwee, William (1974). The Art of War: Waterloo to Mons. Bloomington: Indiana University Press. ISBN 0-253-20214-0. Ridley, Jasper (1976). Garibaldi. Viking Press. Rüstow, Friedrich Wilhelm; Needham, John Layland (1872). The War for the Rhine Frontier, 1870: Its Political and Military History. Blackwood. Taithe, Bertrand. 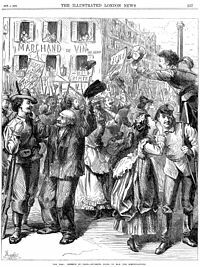 Citizenship and Wars: France in Turmoil 1870–1871. Routledge, 2001. Taylor, A. J. P. (1988). Bismarck: The Man and the Statesman. London: Hamish Hamilton. ISBN 0-241-11565-5. 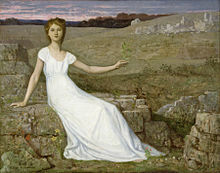 Varley, Karine (2008). Under the Shadow of Defeat: The War of 1870–1871 in French Memory. Palgrave. Wawro, Geoffrey (2003). The Franco–Prussian War: The German Conquest of France in 1870–1871. Cambridge: Cambridge University Press. ISBN 0-521-58436-1.
van Creveld, Martin (1977). Supplying War: Logistics from Wallenstein to Patton. Cambridge: Cambridge University Press. ISBN 0-521-29793-1. 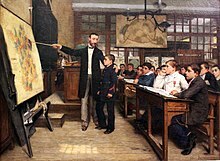 Audoin-Rouzeau, Stéphane, 1870: La France dans la guerre (Paris: Armand Colin, 1989). Baumont, Maurice, Gloires et tragédies de la IIIe République (Hachette, 1956). Förster, Stig, ed., Moltke: Vom Kabinettskrieg zum Volkskrieg: Eine Werkauswahl (Bonn: Bouvier Verlag, 1992). Helmert, Heinz and Usczeck, Hansjürgen, Preussischdeutsche Kriege von 1864 bis 1871: Militärischer Verlauf (Berlin: Militärverlag der Deutschen Demokratischen Republik, 1967). Mehrkens, Heidi, Statuswechsel: Kriegserfahrung und nationale Wahrnehmung im Deutsch-Französischen Krieg 1870/71 (Essen: Klartext, 2008). Nolte, Frédérick (1884). L'Europe militaire et diplomatique au dix-neuvième siècle, 1815–1884. E. Plon, Nourrit et ce.